The East Coast rail franchise has been successfully run by the UK state organisation, Publicly Operated Railways (POR), since it was abandoned by National Express in 2009 when it failed to meet its financial targets. East Coast will return to the private sector in April 2015 after a protracted bidding process was finally won by the joint Stagecoach/Virgin venture (90/10 shares respectively). The Department of Transport somehow avoided awarding the franchise to the French state railway bid (Keolis and Eurostar joint venture). The anti-privatisation debate has been championed by the Labour party and is logical. DoR has made healthy returns to the Treasury, why hand these to a private company when the public sector has done so well? At the very least, why could DoR not bid to run the franchise? The Conservative government’s response, essentially, is that anything that the public sector can do, the private sector can do better. Notwithstanding the fact that often they cannot as two of the franchisees for this route – GNER and National Express – have failed. However, the Stagecoach/Virgin alliance has worked on the West Coast route and Stagecoach has been running the London commuter franchise, South West Trains since privatisation in 1996. But ultimately, the Conservative government has an ideological fixation with the private sector. Many of its members have positions in private sector firms that benefit from government contracts. For me, however, keeping individual franchises in the public sector is a red herring. These are companies that have no assets. Whilst they are the main channel for passengers to access railway services, they are far from being the railway. The assets of the railway are arguably where the value is. Now, fortunately, the key assets – the permanent way, signalling, stations, etc. – are public sector assets after the demise of Railtrack in 2002. But these assets do not generate surpluses. Quite the contrary. Despite announcing a pre-tax profit for 2014 of £1.035bn, the cumulative debt amounts to £20bn. By contrast, the owners of the rolling stock make a killing out of leasing trains to franchisees. There are three major players whose profit margins after tax seem to be around 10 per cent, according to a Channel 4 News investigation. Whilst there may well be some shrewd investment and management involved, ownership of these firms lacks transparency (two have registrations in Jersey and Luxembourg). Moreover, these businesses were sold at privatisation for a song. 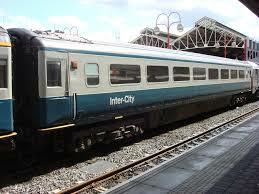 Porterbrook Leasing, for example, was sold in November 1995 for £527m. It was resold in July 1996 to Stagecoach for £825m. In essence, it costs a lot of money to lease trains to generate high profits for the leasing companies. My argument, then, is this. The railway is only meaningful when it is an integrated whole in terms of its ownership and operation. 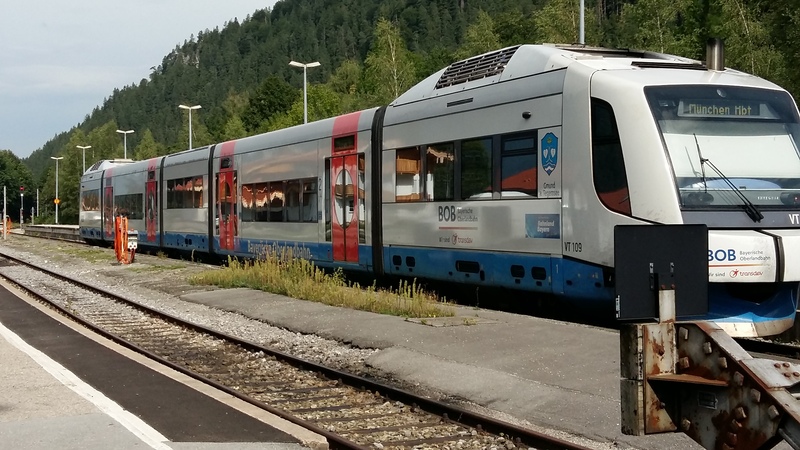 Keeping franchises in the public sector when the real money is made by those with whom they must contract in order to provide train services; namely, rolling stock leasing companies, is to miss the point. It gets the Labour Party off the hook. But it is not public provision of public services. I woke up yesterday morning to a news story that 30 or so candidates for the Labour Party in the UK are arguing for a partial nationalisation of the railways in line with Ed Miliband’s indication that a new Labour Government would seek not just to ‘run’ the country but to ‘change’ it. In order to avoid paying compensation to incumbent franchise owners, franchise contracts will simply not be re-let when existing contracts expire. 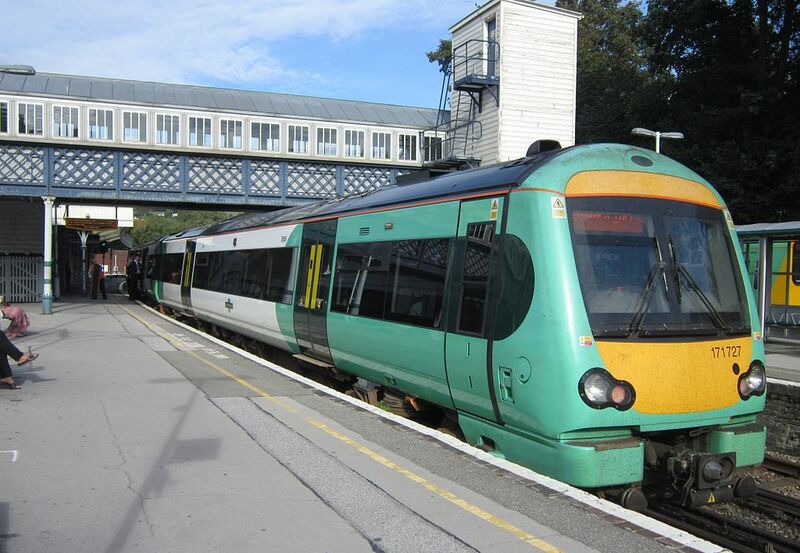 The East Coast franchise, they argue, having been run by DOP (a public-sector company) for four-and-a-half years after it was abandoned by National Express after failing to meet targets, has been a ‘success’. There is a better way to run the railways, seemingly. And one that will see a reduction in ticket prices. 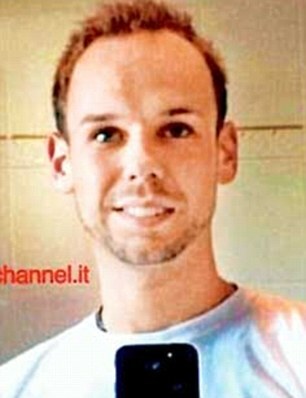 Let us just examine this in a shade more detail. First, what is success? DOP delivered returns to the Treasury (£208.1m last year according a Guardian Newspaper report, 26 October 2013), but did not match the National Express contract commitments; not least because they were flawed. Though customer satisfaction levels were, it seems, at a record high (2-3 percentage point higher than the Intercity averages). Second, the railway is a capital intensive: infrastructure (already in the public sector as Network Rail) and rolling stock (trains – all privately owned by Angel Trains; Porterbrook; Eversholt Rail Group and QW Rail Leasing). The Franchises own virtually nothing over and above a few ticket machines. The costs, therefore, are largely fixed. 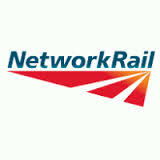 They pay track access charges (to Network Rail) and rental charges (to one of three rolling stock leasing companies). 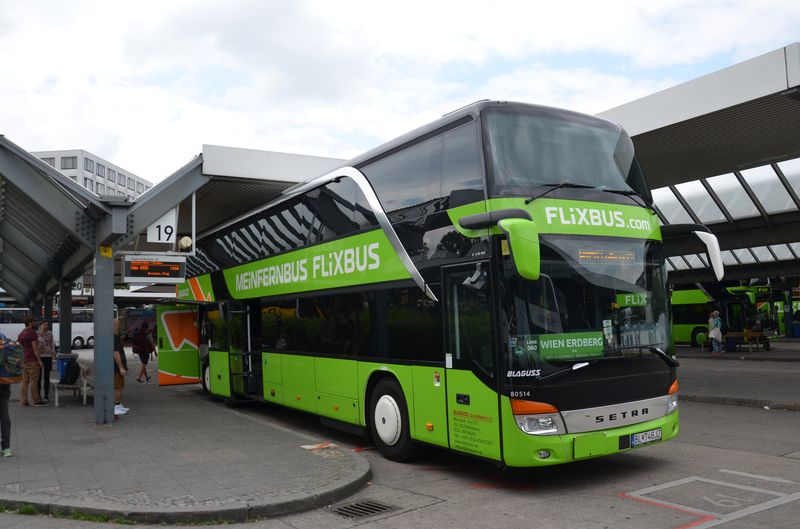 The profit comes from a margin between fares, subsidy and operating efficiency. Should the franchises be transferred to the public sector, those costs will not change significantly. Certainly not significantly enough to see a reduction in ticket prices. Third, under the present structure of the transport industry, who benefits from reduced ticket prices? The unfortunate reality is that the main beneficiaries are the relatively wealthy middle classes. The routes in the South East of England – in and out of London – attract the most attention for this reason. Also because the routes encompass some of the most sensitive electoral constituencies. And richest. The least wealthy areas, even in London, do not enjoy links with either the national rail network or the Underground. Actually, these areas are much more dependent on buses than trains. On that basis, it makes much more sense to nationalise the bus industry than the railway industry. Now I am not arguing against nationalisation. It is clear in the years before privatisation, the railway industry was efficiently managed. Privatisation was at best a scorched-earth policy by the outgoing Major Government and, at worst, asset stripping by foreign and national ‘operators’. Any nationalisation programme will need to find a way to bring back all of the assets, including the rolling stock, back into public ownership. However, the issue is not about the ownership of the railways, rather transport policy more generally. What are the railways for and how do they link into the provision of mobility ‘rights’ for citizens, by whatever mode? And what is that worth in terms of transfer payments from the taxpayer to operators whether public or private? Let us not also forget the role of public transport in meeting environmental protection targets, such as CO2 emissions. It is cheaper, in many cases, to use private motor vehicles, particularly over longer distances. Then there is the question of demographics. So much public money goes into servicing passengers in the South East of England because of the London effect. Government policy surely has to consider equalising wealth and opportunities across the country rather than concentrating it in the Capital which perverts demand for transport services. 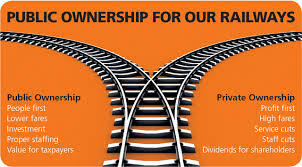 In essence, then, a radical policy is not about the ownership of a few railway franchises. A radical policy requires new thinking about transport, its function, value and impact on other policy domains such as housing and economic development (beyond the capital). I am no supporter of rail privatisation. I wrote my PhD thesis on the subject. But the award of the West Coast franchise to First Group and the arbitrary way in which the rail companies can raise the price of their fares – RPI+3 per cent, suggest that there is something dysfunctional – at best – in the way the railways are managed and structured. I’m no fan of Virgin and Richard Branson (see https://weiterzugehen.net/2012/03/18/privatisation-of-the-nhs/), but as an opener, I would endorse Branson’s statement, released this morning, outlining the non-learning that the Department of Transport has shown over the franchise bidding for this important piece of UK infrastructure. “The Government decision to award the West Coast Main Line Franchise to FirstGroup is extremely disappointing for Virgin, and for our staff that have worked so hard to transform this railway over the last 15 years. We submitted a strong and deliverable bid based on improving customers’ experience, increased investment and sustained innovation. To have bid more would have involved dramatic cuts to customer quality and considerable fare rises which we were unwilling to entertain. We also did not want to risk letting everybody down with almost certain bankruptcy at some time during the franchise as happened to GNER and National Express who overbid on the East Coast mainline. Sadly the Government has chosen to take that risk with First Group and we only hope they will continue to drive dramatic improvements on this line for years to come without letting everybody down. We won the franchise in 1997 with an agenda to change radically the way people viewed and used the train. At the time the track was run-down, staff demoralised, the service riddled with delays and reliant on heavy subsidies. We set hugely challenging targets to dramatically speed up journey times with modern tilting trains, increase the frequency of the service, improve the on-board experience; as well as double passenger numbers and return the line to profit. We were told it was “Mission Impossible” and our plans were laughed at by critics. However 15 years later, despite continued problems with the track, we have achieved our targets. Passenger numbers have more than doubled to over 30 million, the fastest growth in the UK and world leading. We have the highest customer satisfaction of any long distance franchise operator and dominate the air/rail market between London and Manchester. It has been a remarkable achievement by an outstanding team who have successfully delivered on our promises. I am immensely proud of our staff for turning the West Coast line from a heavily loss-making operation into one that will return the taxpayer billions in the years to come. Last year we paid a net premium of £160 million to the taxpayer and have created a franchise worth more than £6 billion which is hugely valuable to the country. These achievements have counted for little – as this is the fourth time that we have been out-bid in a rail tender. On the past three occasions, the winning operator has come nowhere close to delivering their promised plans and revenue, and has let the public and country down dramatically. 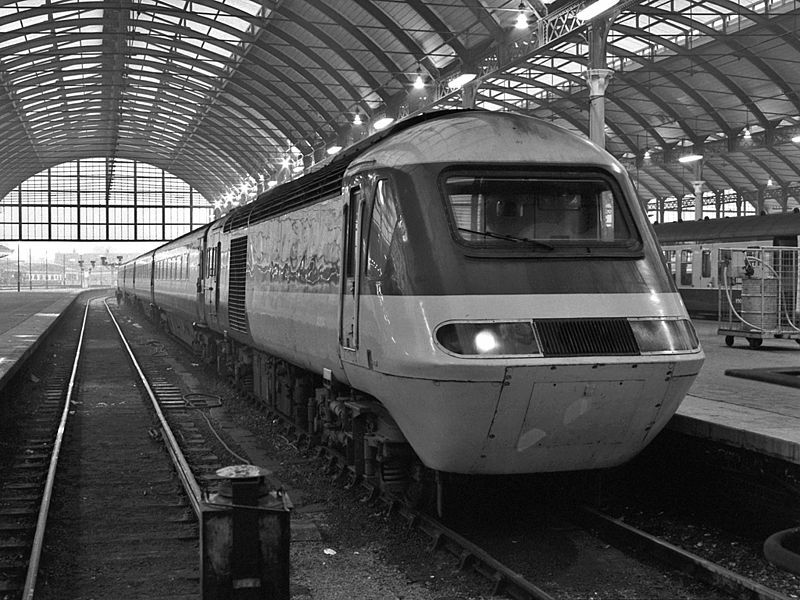 In the case of the East Coast Main line, both winners – GNER and National Express – over promised in order to win the franchise and spectacularly ran into financial difficulties in trying to deliver their plans. The East Coast is still in Government ownership and its service is outdated and underinvested, costing passengers and the country dearly as a result. Insanity is doing the same thing over and over again and expecting different results. When will the Department for Transport learn? Interestingly before Virgin took over the West Coast there were more passengers using the East Coast than the West Coast. Now there are 12 million fewer. Under our stewardship, the West Coast Mainline has been transformed from a public liability into a valuable asset for the UK, worth many billions of pounds. The service is a British success story and one to put up against rail companies around the world. It is a great shame that such a strong track record has been discounted in the evaluation process for one of the UK’s most important infrastructure assets. The country’s passengers, taxpayers and the West Coast employees deserve better. Based on the current flawed system, it is extremely unlikely that we would bid again for a franchise. The process is too costly and uncertain, with our latest bid costing £14 million. We have made realistic offers for the East Coast twice before which were rejected by the Department for Transport for completely unrealistic ones and therefore will have to think hard before embarking on another bid.